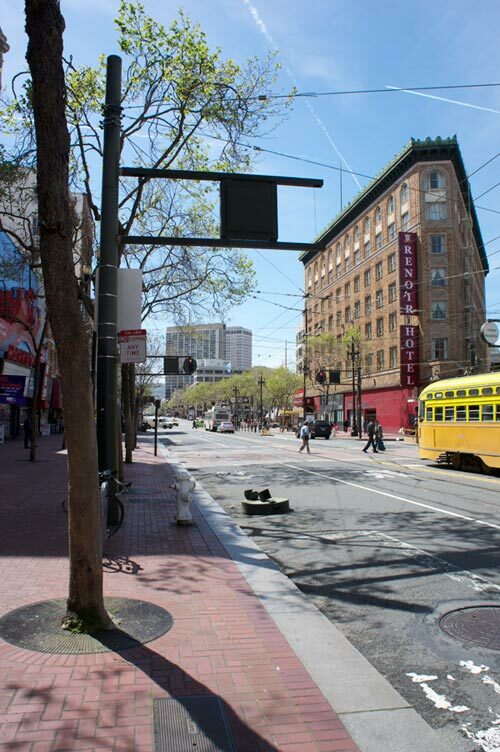 Things are kind of falling apart a bit today, what with this bomb scare/actual bomb situation at the (old) Federal Building, and now, down street at Market and Jones we have a traffic light that broke off and fell onto a Muni bus, and then to the ground. No one was hurt, but the Muni bus electric line things got knocked off and possibly damaged, and the bus went out of service. It's unclear whether the bus's electric antennae somehow swiped the light and knocked it down, or if it just broke off on its own and hit the bus. Anyway, three cheers for crumbling infrastructure!